PRESIDENT Emmerson Mnangagwa, who won the disputed July 30 election last year, is amenable to national dialogue but warned the MDC and other opposition political parties not to come with preconditions to the negotiating table. This comes after calls from civil society for broad-based inclusive dialogue following last week’s nationwide protests, during which 12 civilians were shot dead and over 70 others seriously injured in a brutal crackdown by security forces. Mnangagwa, whose legitimacy has been questioned by the opposition MDC since he was announced winner of the presidential election by a water-thin 50,6% , has indicated that an all-inclusive national dialogue was imperative in addressing Zimbabwe’s unrelenting economic crisis. The protests were triggered by government’s decision to increase fuel prices by 150%. Presidential spokesperson George Charamba yesterday said Mnangagwa was sincere in his invitation for dialogue with the opposition, among other stakeholders, but warned that organising violent protests could blight the prospects for dialogue to discuss the economic crisis gripping the country. “President Mnangagwa’s concept for dialogue is wider. Soon after elections he asked for dialogue,” Charamba said. He said the onus was upon MDC leader Nelson Chamisa to formally engage Mnangagwa on the need for dialogue, while spelling out issues that needed to be thrashed out at the negotiating table. “The first interlocutor for dialogue would have been Chamisa. For the first time we saw ED referring to Chamisa by his first name. So now Chamisa is now ripe for dialogue. For now he (Chamisa) is really pushing for it,” Charamba said. Chamisa this week indicated that talks between various stakeholders would only take off after the release of scores of his supporters who were arrested during last week’s protests. MDC has since crafted a framework to guide the direction of the dialogue, if the talks ever materialise. The “five-point plan” spells out the need to address Mnangagwa’s legitimacy, the unrelenting economic crisis, and atrocities committed in the past, nation building as well as crafting a shared common national vision. MDC secretary-general Douglas Mwonzora said the five-point plan was endorsed by the party’s national executive council last year. 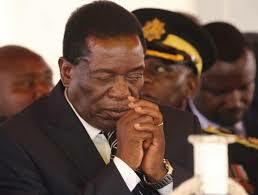 He, however, said the envisaged dialogue would not only be restricted to discussing the five points raised by the MDC. “The national executive council resolved that MDC will explore dialogue to address Zimbabwe’s problems,” Mwonzora said. He said there was consensus within the MDC for the need to engage in dialogue, amid reports that some top party officials were opposed to unconditional talks with Mnangagwa. “There is consensus on the need to engage in dialogue. No one has approached us for the need for dialogue,” he said, noting that the talks should not exclusively feature MDC and Zanu PF. Information reaching the Zimbabwe Independent is that businessman and clergyman Shingi Munyeza is trying to broker dialogue among various stakeholders, including Chamisa and Mnangagwa. In an interview with the Independent, Munyeza said it was imperative to address Mnangagwa’s legitimacy issues arising from last year’s contested elections. “In my view the question of legitimacy emanating from a contested election result is the elephant in the room. Once this is not resolved through dialogue, I don’t see us moving forward as one nation with a common vision and common values,” he said. On his facilitation role, Munyeza said the religious community had capacity to broker talks, underwritten by the Southern African Development Community. “In any multi-stakeholder dialogue there is need for a convener and an underwriter. In our case I believe the church can be the convener in a national multi-stakeholder dialogue, which will also bring together the two main political parties without excluding other political players. In the same breadth, I believe a non-partisan underwriter must be established first to make the dialogue sustainable and achieve its intended outcomes. In this I believe Sadc should be our first port of call for an underwriter to our national dialogue,” he said. Munyeza said the religious groups could help broker talks among various stakeholders as part of a broad-based dialogue seen as key towards ending Zimbabwe’s intractable economic crisis.